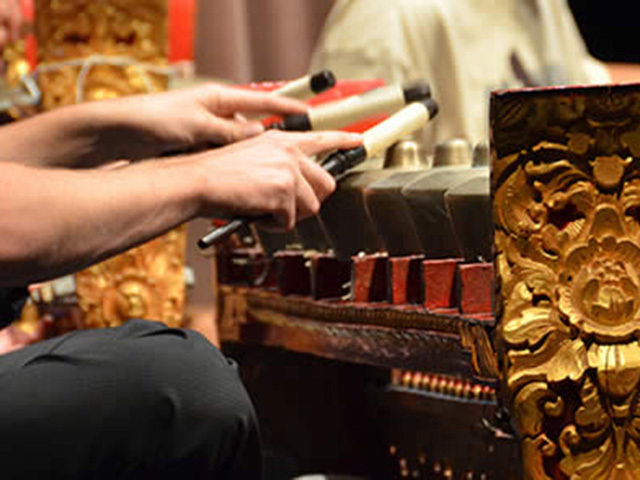 Initiated by David Harnish, PhD, in the spring semester of 2012, the USD Gamelan Ensemble has encouraged music majors and students across campus to enjoy the performance of a percussive, non-Western music orchestra. The Gamelan performs on campus and in the community and sometimes features a dancer in concert. USD students may enroll in the USD Gamelan Ensemble for a credit each semester it is offered without an audition and repeatedly for credit. Three credits will fulfill the fine arts core curriculum requirement.